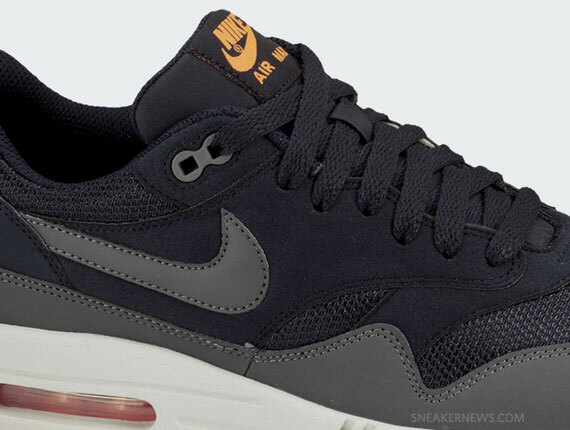 Previewed in mid-summer as a Premium level release from Nike Sportswear, the latest Air Max 1 ‘pack’ might introduce a whole ‘nother designation instead of just three or four styles. 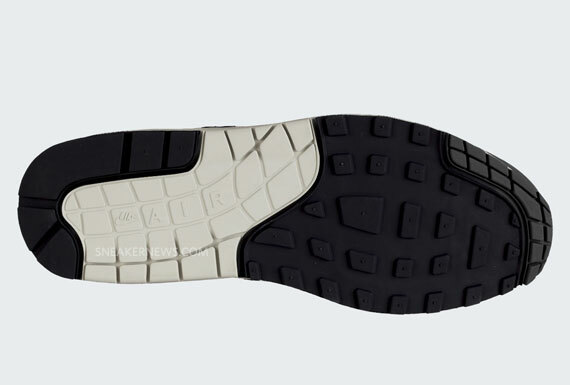 The Nike Air Max 1 Essential features a classic suede, mesh and leather build and toned down colorways, and given that this pair was nowhere to be seen in the aforementioned Spring 2013 fast forward, it appears the Essential AM1 could join Premium, Quickstrike, NRG and others as on-box clues as to the grade and style of their construction. 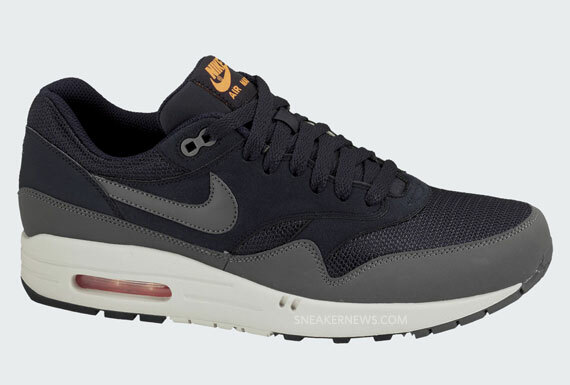 Have a closer look at the subtle use of Total Orange on this stormy mix of Dark Obsidian and Dark Grey mix and grab yours today straight from NikeStore.